An easy meat sauce recipe for spaghetti made quickly with ground beef and pasta sauce, flavored with onion and garlic. 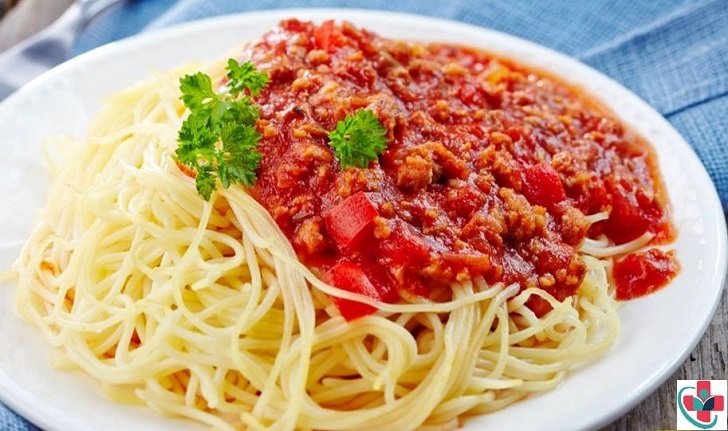 For a lunch, with friends, this minced meat recipe with spaghetti is always welcome! Everyone loves it and is very simple to prepare!! Bon appetit! Season the beef with salt, pepper, chopped garlic, nutmeg, and egg yolk. Mix with your hands the spices in the meat and let marinate for 30 minutes. Place the olive oil and the chopped onion in a large skillet and saute over low heat until the onion starts to turn golden brown. Add the minced meat, stir with a wooden spoon and cook over low heat about 20 minutes, stirring occasionally to mix well. Boil for 2 to 3 minutes over low heat and turn off the heat. Garnish with coriander leaves and serve.